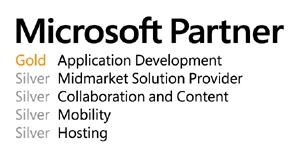 Feb. 7, 2013 - PRLog -- Orion Systems Integrators, Inc. today announced it has attained a Gold Competency in Application Development, demonstrating a “best-in-class” ability and distinguishes itself within the top 1 percent of Microsoft’s partner ecosystem. Orion’s associates include experienced Information Technology Management and Technical resources whom for over 20 years have produced a steady history of complete project life cycle implementations that include deliverables ranging from business requirement analysis, functional design, technical architecture, project planning, detailed design, programming, implementation, quality assurance and post deployment maintenance and support. The products have spanned a variety of case methodologies and broad technology areas. “This Microsoft Gold Competency showcases our expertise in Application Development and commitment to today’s technology market and demonstrates our deep knowledge of Microsoft and its products,” said Sunil Mehta, President and CEO.